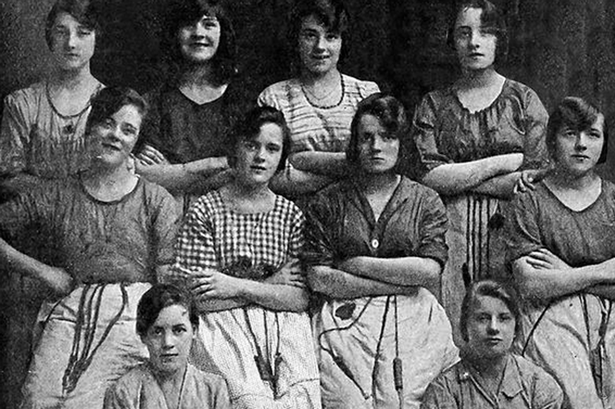 The picture, taken in 1900, shows a group of linen mill girls in Belfast posing for a photo in their work clothes, reports Belfast Live. When you first look, everything seems pretty normal. Each of the women is facing the camera and each has a cord around their waist that was used to hold their tools. 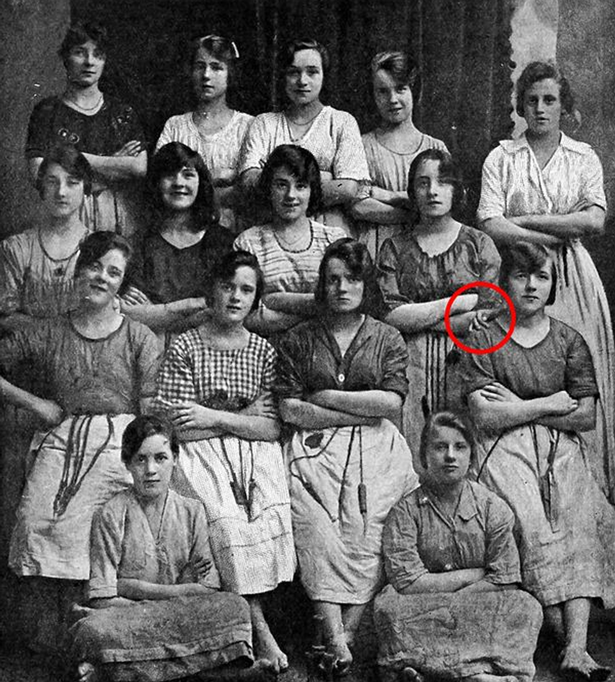 However – and prepare for things to get weird – on closer inspection you can see that one of the girls on the right of the photo has something incredibly creepy lurking on her shoulder that she seems unaware of – a terrifying ghostly claw. The spooky abnormality was flagged up by a woman called Lynda – whose grandmother appears in the photo. Great to see an old photo of my Granny when she worked at the mill. 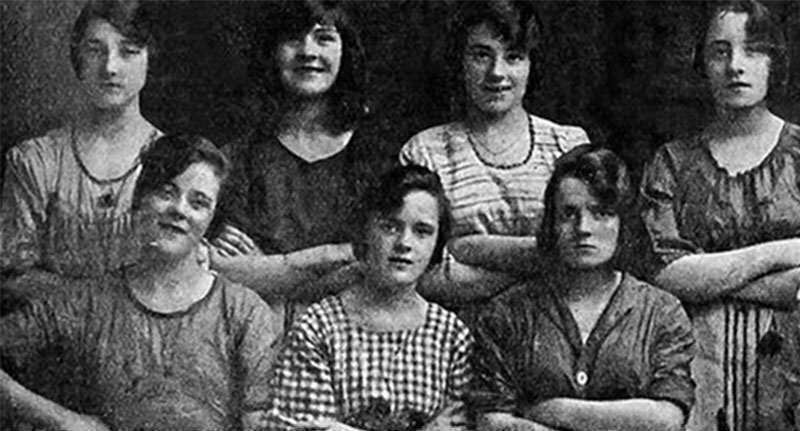 She was Ellen Donnelly and she is fourth on the right in the second row down [of the main picture]. Lynda says she ‘doesn’t really believe in ghosts’ but admits there have been a few odd going-ons around this photo. Maybe it’s a trick of the light, maybe it’s a weird, hand-shaped ruffle on the girl’s shirt, or maybe it is in fact the ghostly claw of an evil spirit stuck in the purgatory between life and death.